Need painting ideas or help on how to paint a room? We know, choosing the best interior paint color can be hard. It’s easy to stick with a safe, neutral color (beige anyone?) that blends in with your room’s décor. Today we’re excited to share some unexpected wall paint ideas that can really pull a room together and take it to a whole new level—a good one at that! We love the idea of using wall colors that are a bit unexpected to unify a room. 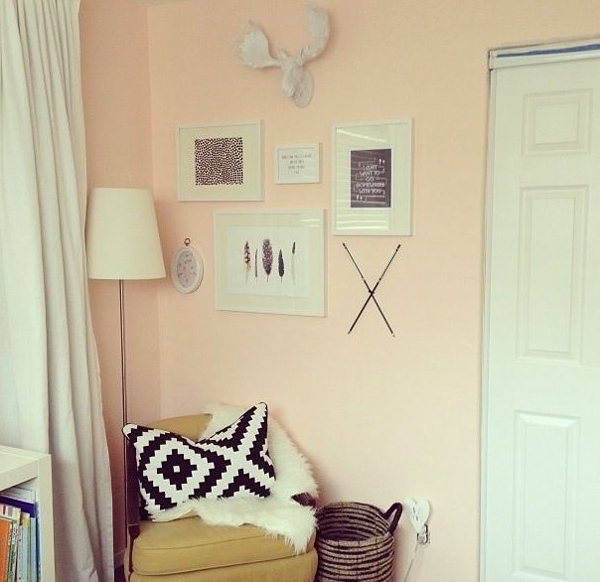 While blush has a touch of femininity, this is no girly girl room. It's stylish, relaxed, comfortable. 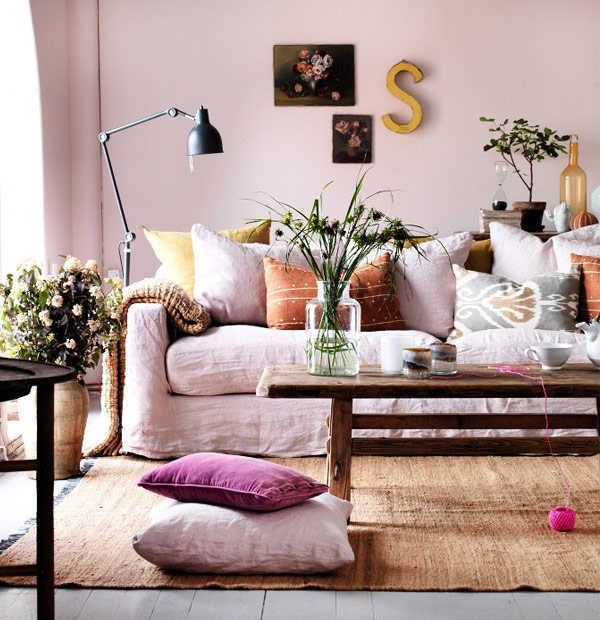 The light pinkish tone warms everything up and pulls it all together. Oh, how we want to spend a relaxed Sunday afternoon here! Next up, we go dark. Here’s a salon wall in graphite; it's a fantastic way to make art really pop. This design manages to make all of these eclectic pieces feel like they belong together. And now we go even darker...in fact, totally black! In this room by Armas Design, black walls and trim brilliantly unify a very light room with mostly white décor. Here it adds sophistication to what would otherwise be a very bohemian vibe. Black can also go high-end glam. 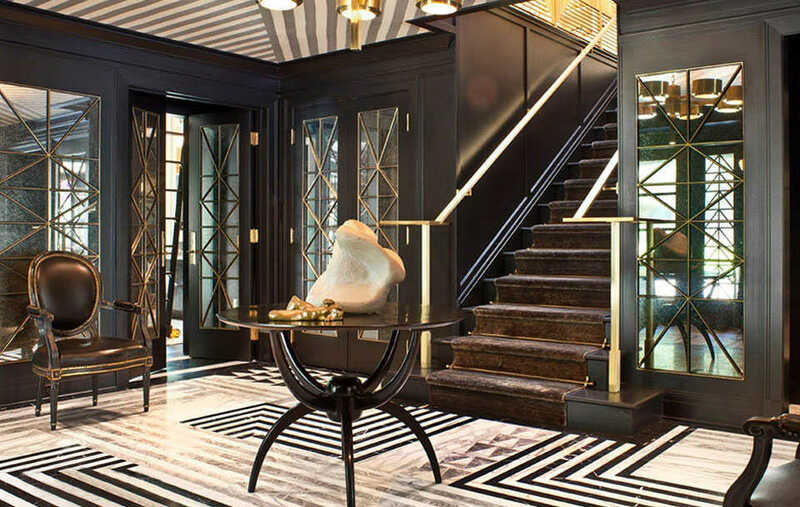 Here we leave it to the master, Kelly Wearstler, who perfectly offsets inky black walls with black, grey and cream decor elements and gold metals. Just gorgeous. How stunning is this room? 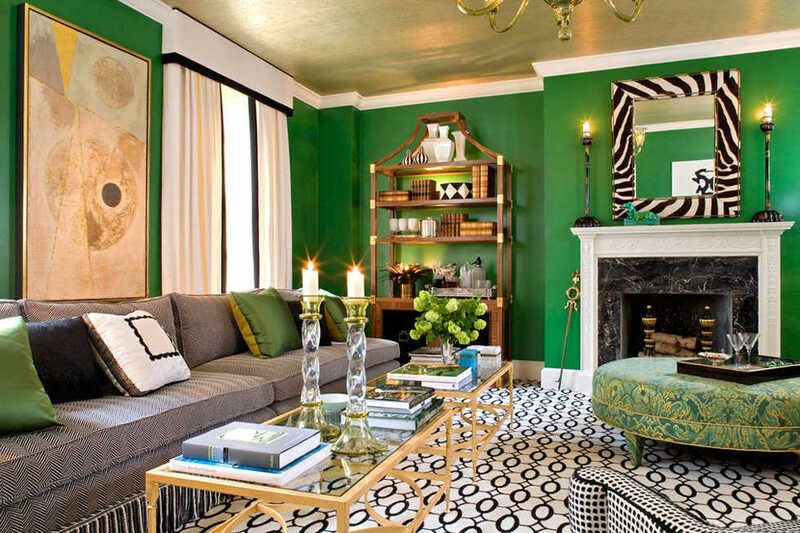 The bright emerald green walls brilliantly pull the black, white and gold elements together. It is classic, glamorous, and has a timelessness that transcends all style trends. Hmmm...think we're heading out for some emerald green paint swatches! Yup, that's right, peach! That 80’s color is back...but this time, when paired with the right décor elements, it has a decidedly up-to-date feel. 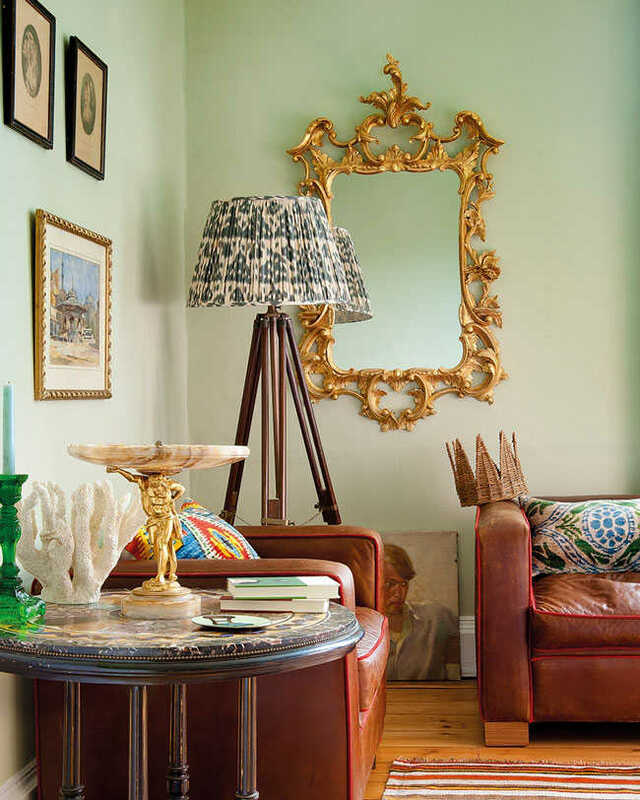 We love the chic, relaxed elegance of this dreamy corner. No longer just for kitchens or medical offices, mint green is becoming an “it” color for bedrooms and living rooms too. It works with traditional antiques and modern pieces equally well, providing an unexpectedly classic, polished backdrop to any room. 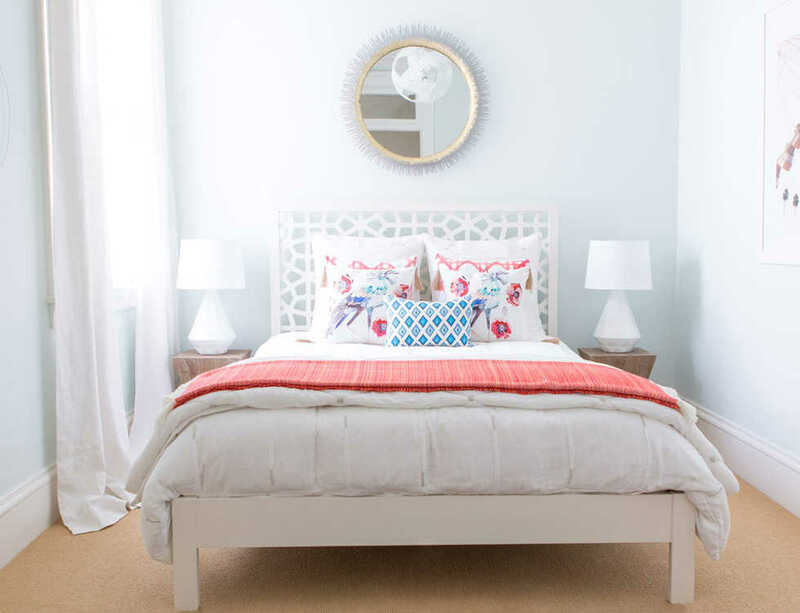 In this whimsical bedroom makeover, the designer used paint with just a hint of mint green to beautifully update this bedroom and give it a modern, bright, airy, and welcoming look. We’d be a guest here any day (or night). Navy walls create a cool, moody vibe in any room and offsets light-colored furniture quite beautifully. Add some graphic elements, like this zebra rug, and you'll have a design masterpiece. Apple green is likely not be the first color that pops into your head when choosing a paint color. However, it can be a piece of art all by itself. In this example, one of our Decorist designers used apple green to beautifully highlight the artwork of her client’s children. 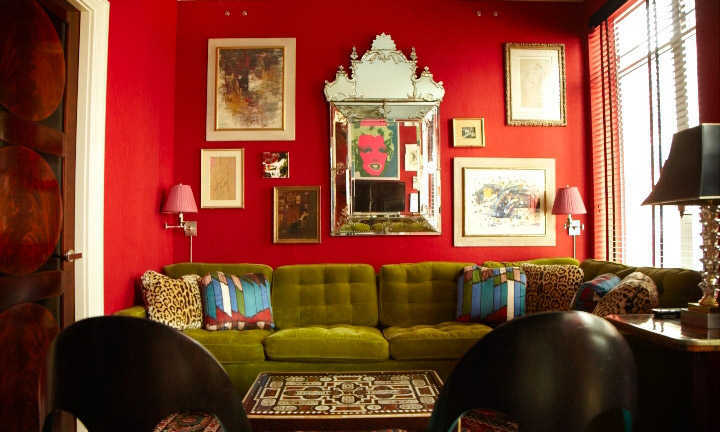 The result is a bold, dramatic, and highly memorable gallery wall. Yes, white (a true, pure white) is a color you should absolutely consider for your walls. In this glamorous home office makeover, the designer used white to create a crisp, bright, clean, airy feeling. White also helps your furniture and artwork really stand out. 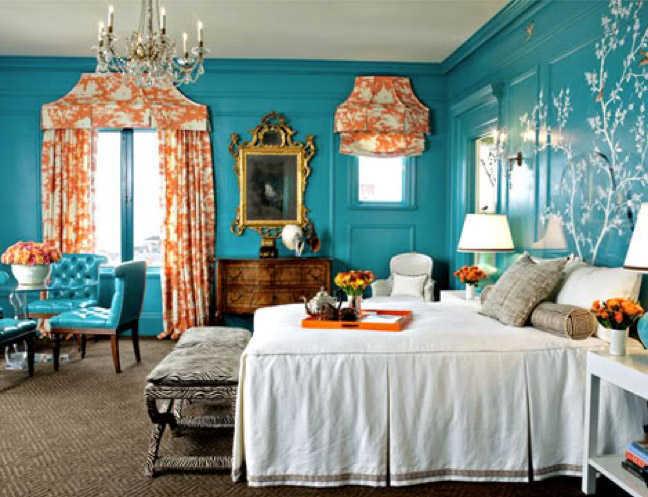 This stunning room by Kendall Wilkinson mixes two bold and complimentary colors, teal and tangerine. It’s a gorgeous and brilliant way to bring strong colors and an up-to-date look to more traditional furnishings. Here we leave it to the master of color saturation, Miles Redd, to show how it's done. This fabulous room is tradition, eclectic, edgy and classic all at the same time, thanks to a brilliant combination of colors, textures and styles. We can't imagine this room without it's cherry red walls. Still not sure what wall colors will work for your home? 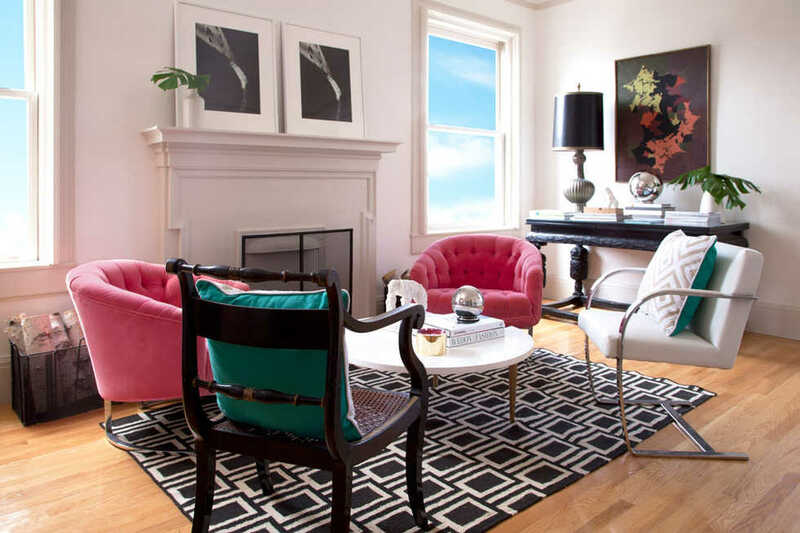 Work with a Decorist designer to learn how we can help you refresh your space.